We would like to wish everyone Merry Christmas and Happy New Year. Good luck to all of us! Tomorrow’s Father’s Day. Let’s all greet our great Tatays and thank them for all the things they have done for us. And of course, our greetings also to all the peps who are proving to be wonderful fathers themselves. Below is a song by Luther Vandross, “Dance with my father”, which is for all those who miss their fathers. The following is a story Ruby Gaviola wants to share with all our birthday celebrants this month. It first appeared in the Reader’s Digest. Enjoy it. One day I met a sweet gentleman and fell in love. When it became apparent that we would marry, I made the supreme sacrifice and gave up eating beans. Some months later, on my birthday, my car broke down on the way home from work. Since I lived in the countryside I called my husband and told him that I would be late because I had to walk home. On my way, I passed by a small diner and the odor of baked beans was more than I could stand. With miles to walk, I figured that I would walk off any ill effects by the time I reached home, so I stopped at the diner and before I knew it, I had consumed three large orders of baked beans. Unfortunately, we haven’t heard from Angie and June to this day. Hope we still find them before the reunion. Has anyone got any clue how we could find Ricardo Manuel? Eddie mentioned before he could still be working at the Tondo Medical Center in Balut, Tondo. We did “check up” the hospital’s website but its roster of doctors does not include a Dr. Ricardo Manuel. 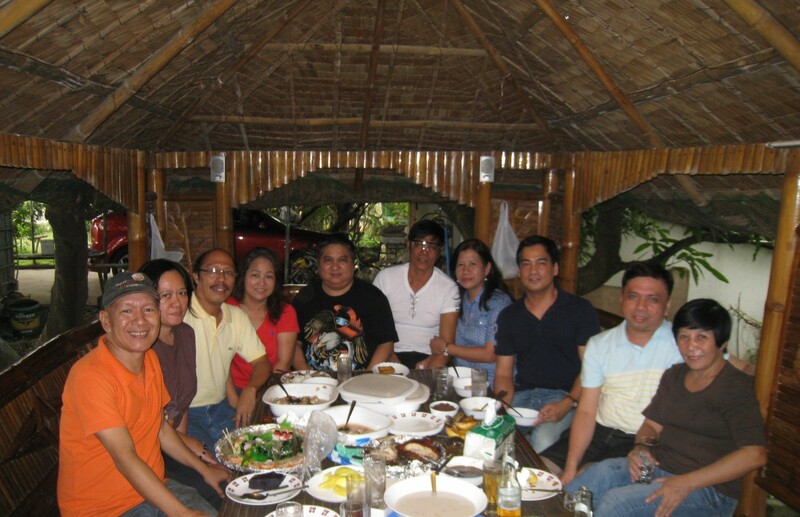 By the way, Ric celebrated his birthday last February 13. Happy birthday, doc.